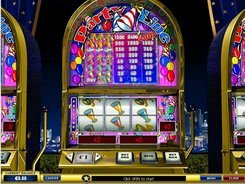 Party Line developed by Playtech is an easy-to-play Vegas-style slot with three reels and a single payline. 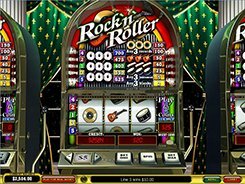 This uncomplicated emulator has no wilds, scatters, bonus features and free spins, so you won’t have to learn sophisticated playing strategies, but focus entirely on spinning the reels and getting fun. You can place a maximum of three coins per line adjusting the coin value from $0.05 to $5. The top bet you can put in is $15, and the jackpot at stake is a stunning 4000 coins. So, betting a fairly low amount you have lots of winning opportunities. The symbols in the slot machine are Party Hat, Saxophone, Radio, Keyboard and three colored drinks. Winnings for each combination are displayed in the Payout Table. PLAY FOR REAL MONEY!